Their chic and elegant styles are available in an infinite number of models, designs, sizes and heights or can be custom-tailored to your specifications. 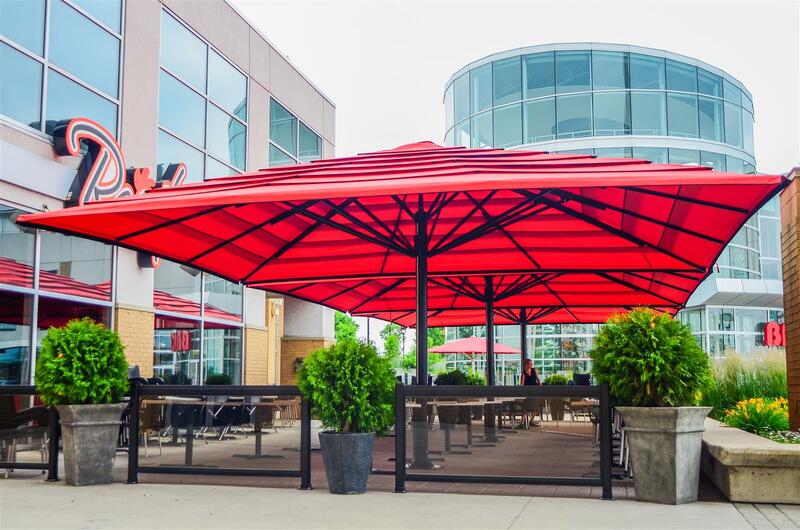 Our easy-care canopies are UV-protected, 100% waterproof, flame retardant, thermo sealed, dirt and water repellant, and effortlessly fasten closed. They also come in variety of colors, fabric types and can be personalized with custom logos or text. 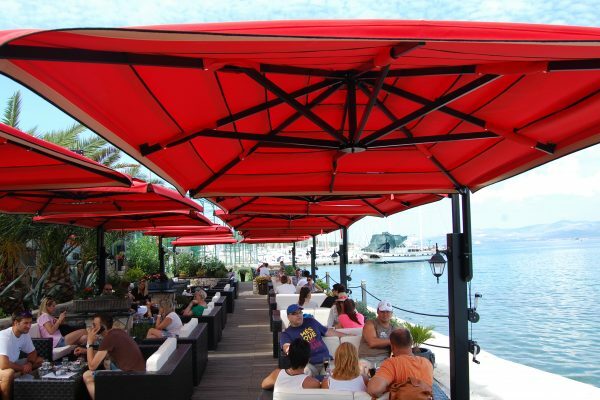 • Umbrella support beams are made from iron and coated with zinc, before being oven-epoxied to render them impervious to rust and other atmospheric factors. • You can also choose support columns made of marine-grade steel. 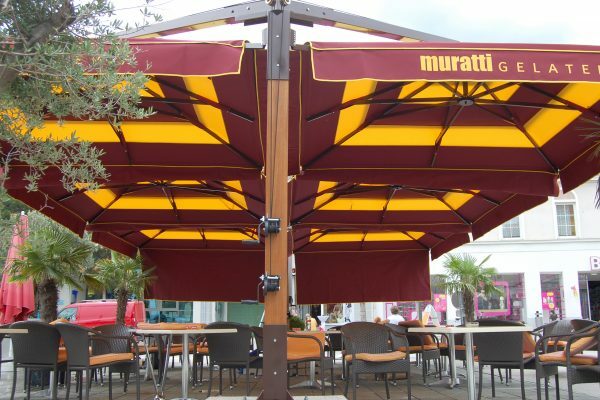 • The umbrella frames are available in composite-aluminum or Iroko wood. • We only use Iroko (Chlorophora excelsa) wood, an indigenous African type teak because it is extremely tough, dense, very durable and exceptionally beautiful. • The cement bases are trimmed with river washed pebbles and steel plating for perfect balance and endurance. • All the steel and aluminum components can be powder coated in desired color. • For maximum durability, reliability and stability we highly recommend ground installation. In essence, all the materials are of the state-of-the-art quality, right down to our marine-grade stainless steel fasteners including our ergonomic open/close pulley system. 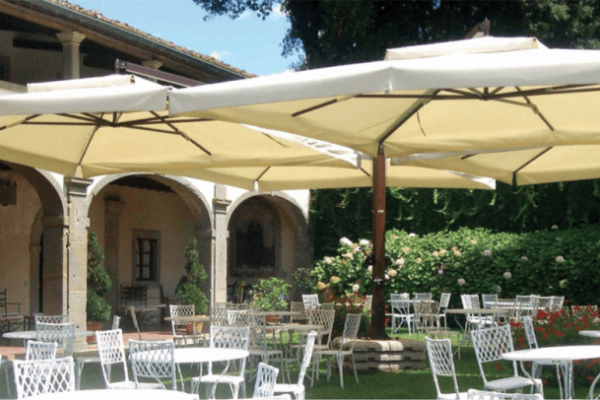 Adurra’s explicit attention to detail and sophisticated design process provides our parasols an exclusive craftsmanship and elegance and you simply can’t find anywhere else.